Be sure to heed the unwritten rule of The Morrison Bar & Oyster at its annual month-long crab carnival: you must eat the flesh of one crustacean with a broad carapace and five pairs of legs during its annual Crab Carnival. 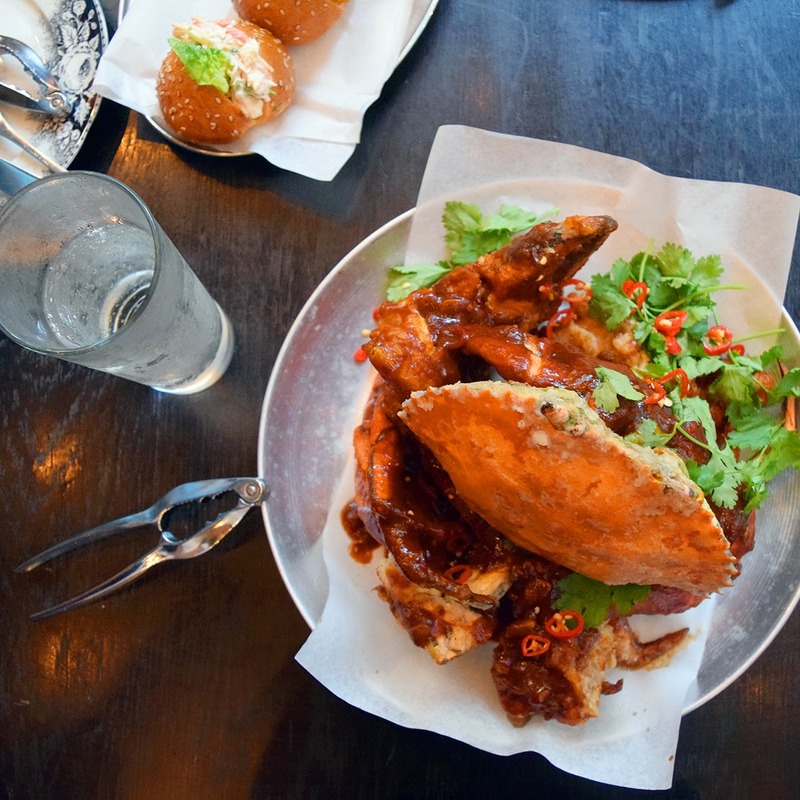 Get cracking: with this chilli crab dish at The Morrison Crab Carnival. In what form you choose to consume members of the order Decapoda, class Malacostraca family is up to you: with offerings including blue swimmer crab and corn chowder, a crab and lettuce taco, snow crab roll, soft shell crab burger, crab on toast or chilli crab linguine. You can also consume crab in liquid form with a crabby mary cocktail of Ketel One Vodka with Alaskan crab claw or a pint of pale ale, which of course is in keeping with the Little Creatures theme. 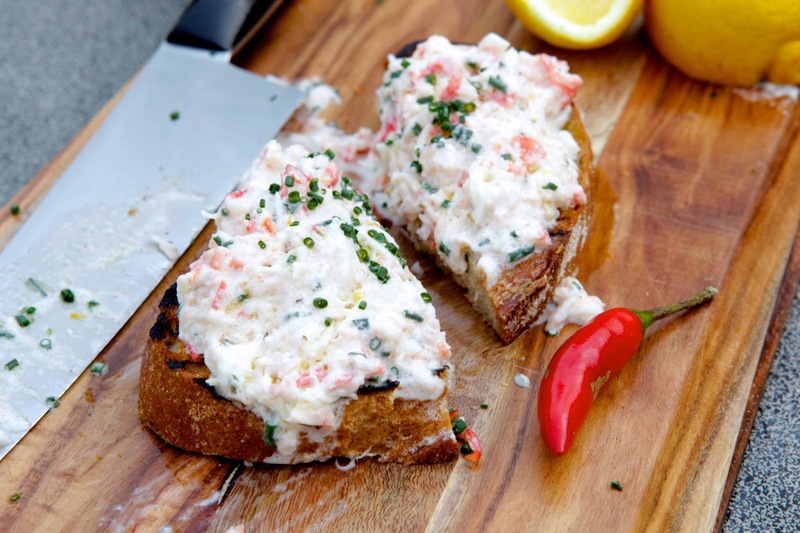 Chop chop: whet the appetite with these crab-laden toasts flecked with chilli and herbs. The New York-style brasserie will morph into an aquatic arthropod-filled paradise for seafood fans for the 26-day carnival, which this year runs until April 24. Chef Sean Connolly has curated the crustacean themed menu and might well be spotted moving sideways or obliquely around the carnival having a punt on the hilarious hermit crab races (on April 2 and April 16) and cheering on his chef mates on April 7 as they try to claw their way to victory in a mud-crab eating contest. Sean Connolly is all smiles now ... but just wait till you see him get crabby. Don't forget to tag your crab photos @TheMorrisonSydney on Instagram and include 'crab' into as many punishing puns as is possible to be in the running for a $50 bar tab. 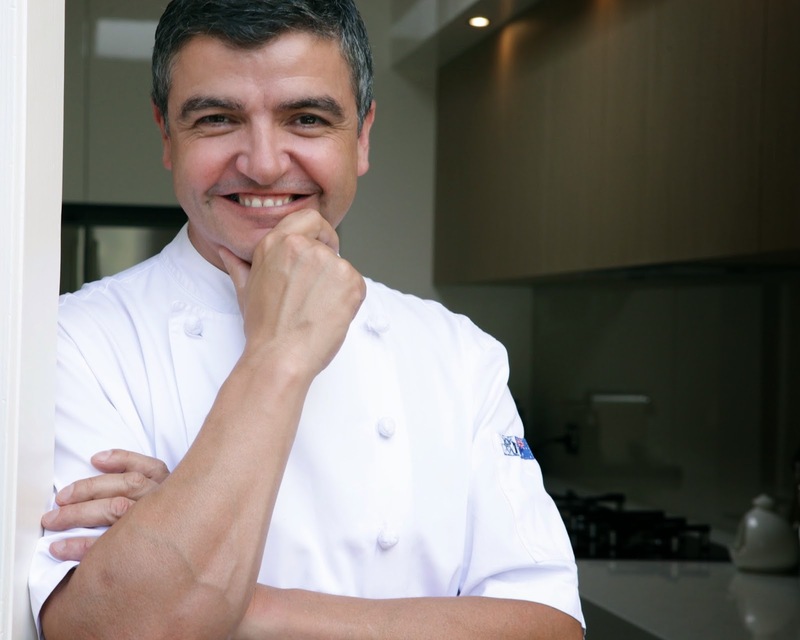 For further information, visit themorrison.com.au/crab-carnival-2015. To read more of my articles, subscribe to my website: www.carlagrossetti.com or follow me on Facebook, Twitter or Instagram or Google +.